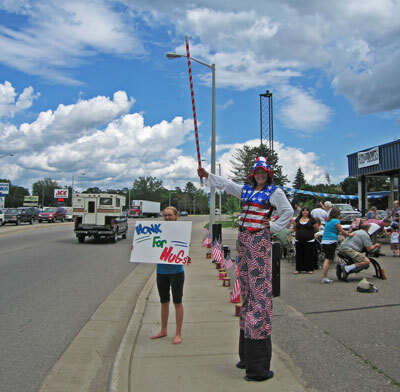 July 3, 2009: Just before Independence Day, WWWI (3Wi) Radio in Brainerd, MN, holds their annual Honk for Hugs event. 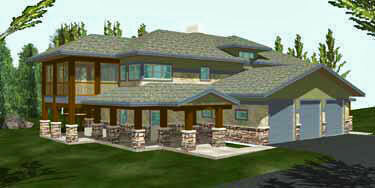 It is a "support the troops" project. KadeeJo O'Day is playing the part of Uncle Sam on this day. Sheet rocker's stilts make her much taller than life. Keep up the good work, KadeeJo! 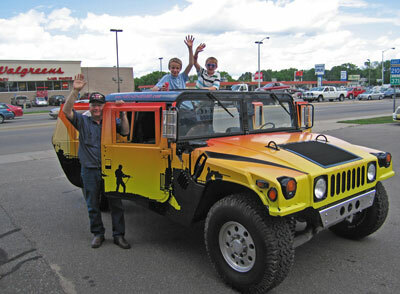 Even the Army National Guard brought a Hummwv Hummer by for happy people to ride in that day. 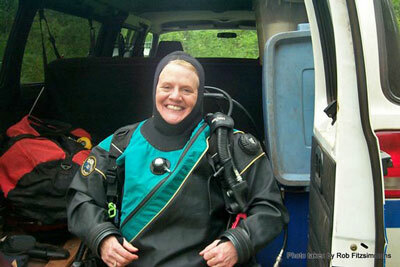 Here is Paula getting ready to SCUBA dive in one of the abandoned iron-mining pits near Crosby, MN. Paula has been seen underwater SCUBA diving quite a bit nowadays. 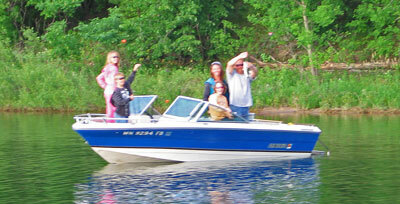 She often goes on "fun dives" with the Minnesota School of Diving. The DUI patch on her right sleeve is Diving Unlimited International, the manufacturer of her dry suit. 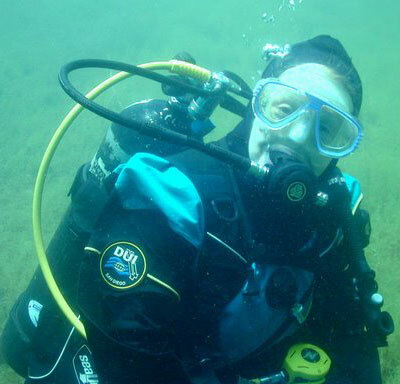 Thanks to diver Bob Fitzsimmons for this outstanding photo of "Deep Diver Paula" smiling underwater. 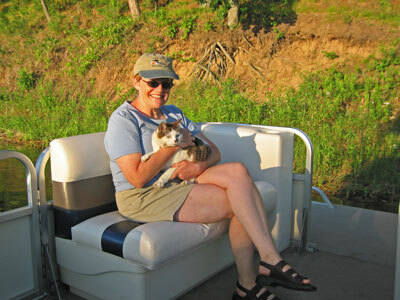 Sometimes Paula is seen with Josie "the sailor cat" aboard the Minnow at Gilbert Lodge. Actually, Josie is a land lover and doesn't stay aboard long. "Caught one!" A family with a fish just landed off the shore of Gilbert Lodge. Great eating. 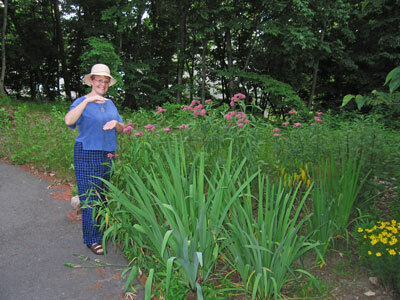 Paula is happy with how well her rain garden has turned out this year. She is showing us how tall the joepie weed plants were when she planted them this spring. 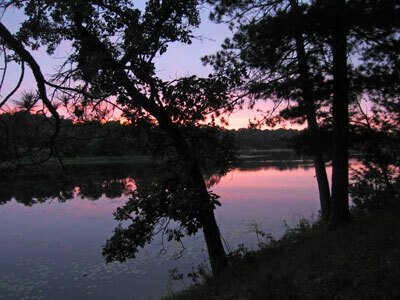 A red sunset over Gilbert Lake as seen from the Gilbert Lodge grounds. What a great ending to a day. Quote of the day: Believe in who you are, use wisely what you have, and each day will bring you a smile.